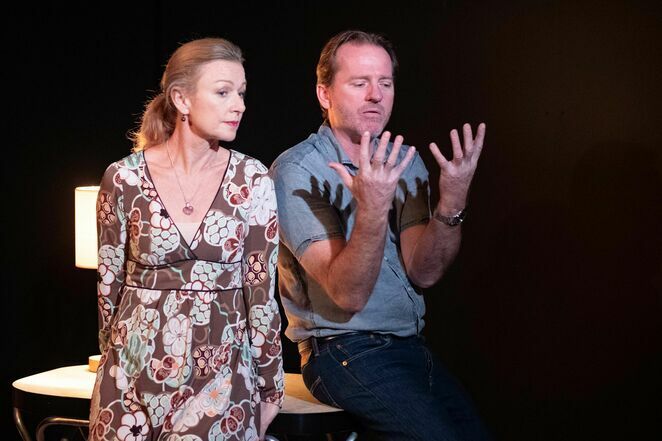 Jennifer (Suzanne James) and John (David Jeffrey) in a scene from The Realistic Joneses. Image supplied by Clare Hawley. 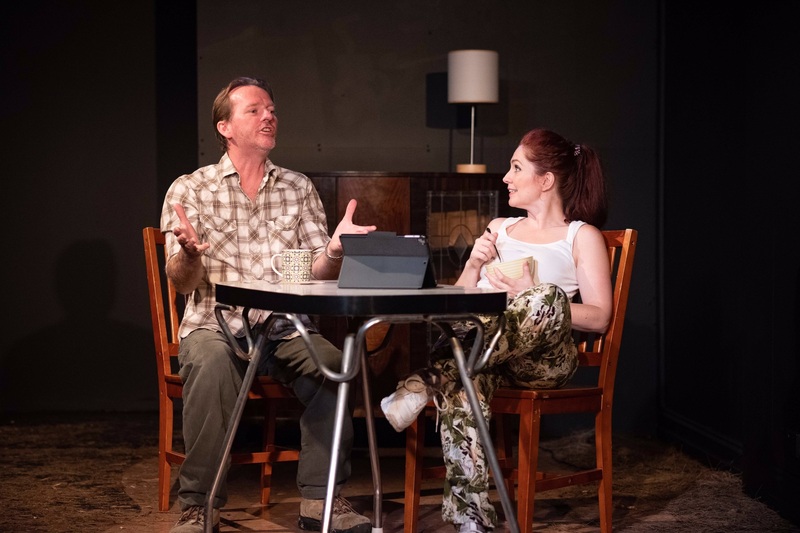 The Realistic Joneses by award-winning playwright, Will Eno (Thom Pain, The Open House) is performing now at Limelight On Oxford. Suzann James (A Streetcar Named Desire, The Big Meal) as Jennifer Jones. Jeff Houston (Don't Talk To The Actors, False Pretences) as Bob Jones. Jodine Muir (The Diary of Anne Frank, Twelfth Night, Home and Away, White Collar Blue) as Pony Jones; the fashionable creative wife of John Jones. David Jeffrey (Plaything, The Cherry Orchard, Thom Pain) plays John Jones. John (David Jeffrey) and Pony (Jodine Muir) in a scene from The Realistic Joneses. Image supplied by Clare Hawley. The play is about two couples with the same surname who unknowingly share commonalities in their marriages. Jennifer is loving but frustrated that her own feelings are overlooked by Bob's illness, which rules their relationship. Their situation is made worse by his inability to discuss their woes, or show her affection. Pony is colourful and chirpy and pretends not to notice the sad realities facing her tradesman husband, John. Meanwhile, he prefers to escape rather than face the difficulties of life. Pony and John, being the new couple in a small town. invite themselves over to meet neighbours Jennifer and Bob. Though awkward at first, their initial encounter invites an intimate friendship and openness, as each person is drawn to the other's partner; seeking what is missing from their own respective marriage. Pony (Jodine Muir) and Bob (Jeff Houston) in The Realistic Joneses. Image supplied by Clare Hawley. 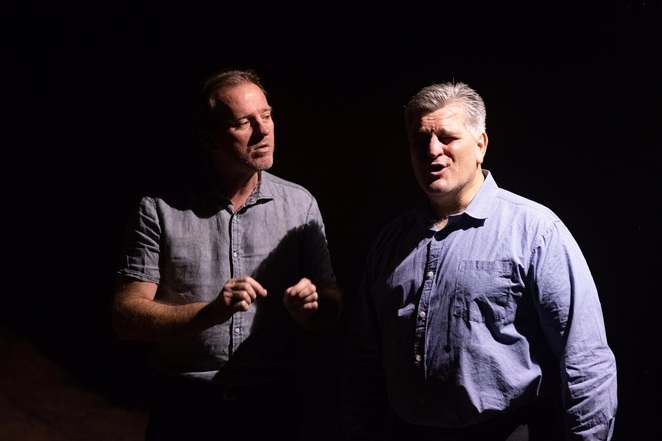 As conversations twist and evolve, we discover not all is perfect, and it's through these imperfections that ultimately bring us closer to each character as we see our own inner thoughts reflected on stage. Beautifully written, quirky and original, The Realistic Joneses is at times hilarious, yet sometimes melancholy. We feel for each character, as they face life's dilemmas and uncertainties. We recognise not only their sadness and longing but also their need for acceptance and love. We find ourselves filling our lives with the stuff that doesn't matter, only to ignore and miss the things that do, just like the Joneses. 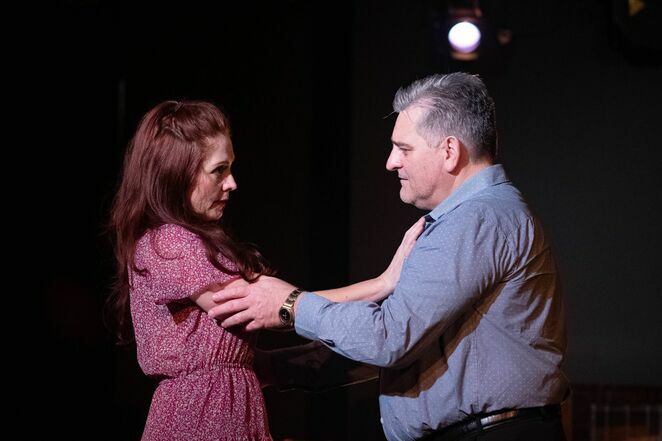 Jennifer (Suzann James) and John (David Jeffrey) in The Realistic Joneses by Will Eno. Image supplied by Clare Hawley. Ultimately The Realistic Joneses is a play about the confusion of life, a reminder that it's not always easy. Sometimes we make mistakes, occasionally we're wrong or get angry. In the end, we all could use a little help, and that's okay. In a world of fakeness, we don't have to be like everyone else. The Realistic Joneses portrays life as it is, which isn't always perfect. It teaches us to accept what is, change what we can and most importantly to love deeply and let nothing stand in the way of friendship. Something we all need reminding of. With a tightly written script, captivating performances in an intimate setting, The Realistic Joneses makes the perfect date night, if you're prepared to discuss your own inadequacies afterwards, which will inevitably happen. 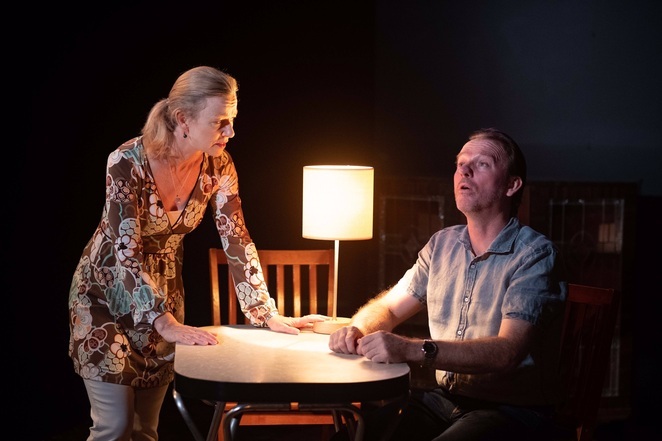 Will Eno was a finalist for the Pulitzer Prize in Drama for his play Thom Pain (based on nothing) and The Realistic Joneses was named 'Best Play on Broadway' by USA Today and 'Best American Play' by The Guardian, in 2014. 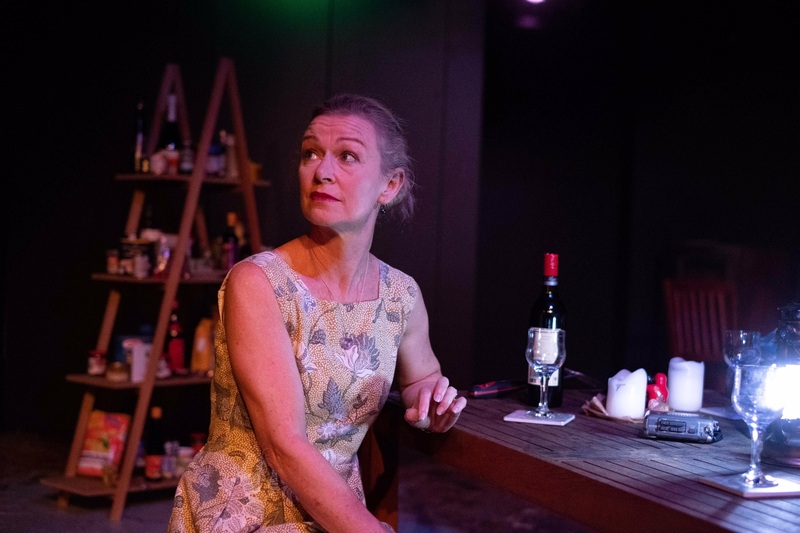 Jennifer Jones (Suzann James) performing in the Realistic Joneses. Image supplied by Clare Hawley. Tickets are $38.50 full, $33.50 concession or $28.50 on cheap Wednesdays (including online booking fee per person) and can be booked online here. Running time is approximately 2 hours including interval. The Limelight on Oxford is a gorgeous theatre, within a terrace house on Oxford St, close to Taylor Square. It seats about 50 and offers a bar with snacks. On-street parking is limited with a maximum of 2 hours nearby. There are bus stops on Oxford St close to the venue. John (David Jeffrey) and Bob (Jeff Houston) in deep conversation in The Realistic Joneses. Image supplied by Clare Hawley. Why? A tightly scripted, deeply moving play about life, love and everything that comes with it.